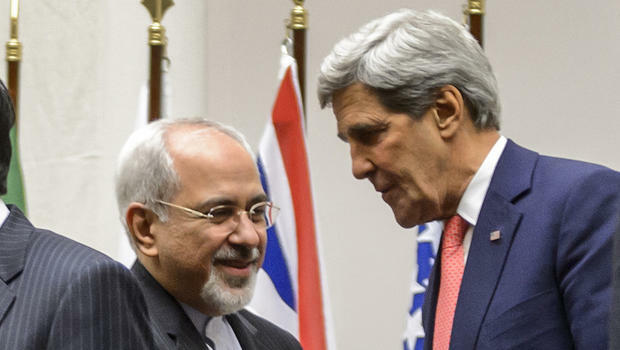 There’s One Thing I Haven’t Heard Yet About the U.S.-Iran Deal…. You can hear the discussions and the debates already: ‘A Major Middle-Eastern Re-Alignment’, ‘The Dawn of a New Era’, ‘From Foes to Friends?’ and on the litany of predictable headlines goes. And it is true, no matter what the future holds this was a big moment in the relations between two countries who have oscillated from low-intensity Cold War to outright hostility and back and back again numerous times since 1979. But now both sides realize the commonalities of interest outweigh the still substantial disagreements and there will at least be an attempt to deal with it. Whether or not it will be successful only time will tell. But hopefully it will be. Both nations share an enemy in combating Sunni extremism, which has much more global appeal and violent credit to its name than any corresponding Shi’a movement. In fact, last month U.S. airstrikes supported Iranian backed Shi’a militia offensives against Daesh (ISIS) in Iraq. Nothing like an even scarier foe to bring to former enemies together. The question will be if this rapprochement is temporary or long term. Iran also wants more diplomatic options, an end to sanctions, and greater levels of flexibility than to be forced into becoming a junior partner with Russia. The U.S. on the other hand no longer has the will to bluster about constant large scale conventional intervention and also needs more options in the region-particularly if it is going to downplay its presence in order to focus on the far more important (to Washington) Asia-Pacific and possibly even European spheres of interest. It may also be desirable to remind the Saudis and Israelis who is boss in the relationship with Washington, but good luck getting anyone to acknowledge that in any official capacity. Both sides have a lot to gain and even more to lose. Nothing is settled yet but the gamble just might be worth it. After all, look at Yemen. A Saudi led coalition as well as (allegedly by some but unproven so far) an uninvited Israeli guest are stepping up bombing runs on Iranian-aligned Houthi rebels who are making gains at the expense of the government. Now this is a wild card for both parties as it introduces independent action from their allies separate of their own negotiations. It is so convoluted that it actually has captured a fair amount of media attention relating to the talks-as it should. But one thing I am so far not seeing mentioned, except in passing, concerns less about new-found chumminess in Iraq against a common foe or even the dangers of the situation in Yemen, but rather the still ongoing and far more deadly than either of those examples Syrian Civil War. When the war began there was no question as to whose side Iran would stand on. Syria under the Assad family was a die-hard Iranian ally, all the more important for really being the only one. Naturally, this meant that the United States and its allies jumped on the rebels bandwagon (this was of course those dark and far off days of 2011). Syria also of course had close ties to Russia (The Tartus Naval Base in Syria being Russia’s only external military installation not in a part of the former U.S.S.R.) and a quite obvious minefield of ethnic and sectarian divides. All of this made direct intervention a la Libya not an option. But short of invasion or no-fly zone, the U.S. and Iran went to work on a proxy conflict as the once sealed Syrian state splintered apart. The problem of course was that so did Saudi Arabia. In fact, nations like Saudi Arabia and Qatar were much more gung-ho about such an intervention than even the U.S. seemed to be (neoconservative fantasies of then Secretary of State Hillary Clinton aside). The extreme form of Islam often championed by elements within these states, coupled with the fact that the Assad regime had long since made alliances against the majority Sunni population of their nation with many of the various other minorities basically guaranteed a particularly nasty division of society. Something that the Iraq War should have given the U.S. foreign policy establishment much more pause when contemplating entering the fray. Once it became apparent that the Syrian government would not fall quickly-or perhaps at all-radicalization within the rebel movement was pretty much a guarantee. Gradually, the Islamist elements became a larger and larger part of the Syrian opposition, to the point where any hopes of a moderate-only victory became about as likely as a Green Party candidate winning the American presidency. I remember watching the early stages of the Syria conflict unfold as a doctoral student familiar with Syria’s general demographic makeup. My first thought was ‘if the government doesn’t crumble in a month or two this is going to be nasty on all fronts-how I hope the U.S. doesn’t interfere!’ But so it happened. How much of an effect this had on the war is debatable, but once the war was guaranteed to be long it very much served U.S. interests to hope the regime-yes the Assad one-would be the faction which emerged triumphant. Rebel victory increasingly looked like a scenario where the price of getting rid of one family and their nepotistic gang would demand a terrible price for ethnic and sectarian minorities alike, not to mention the empowerment of religious fanatics who respected no borders. And yet, the American foreign policy establishment still hedged its bets with the rebels who at best could deliver only the most questionable gains in the form of Iran having to spend money and arms on aid to Damascus. Perhaps the United States realizes its errors on this issue. Perhaps not. But this brings us back to the recent Iran-US talks. Iran and Russia are the only state level external actors that pull weight with the Syrian regime. It would be wise-if the U.S. wishes to take back its Syrian mistakes-to be using those secret talks in order to negotiate something on Syria, namely to agree to stop any indirect support for the rebels in order for something else. Considering the way things can go in such negotiations, it would hardly surprise me if that ‘something else’ was acknowledging Iranian influence in Syria and maybe even assisting them against Daesh there (where they are even more entrenched in than in Iraq) in exchange for Iran agreeing to make its Shi’a militias in Iraq loyal to the Iraqi government at least once the current conflict is over. Or it could be for Iran to have its proxies hold off from hostility with the Kurds. This is of course speculation, but its the kind of deal I would strike. If it is not that, one suspects Syria still comes up, and that the U.S. could very well be looking for a face-saving way to distance itself from that country or for further collaboration between all parties opposed to Daesh-something Iran could very likely provide. Simply because this is the one issue being sidelined by the media covering the US-Iran talks makes it by far the most interesting one to me. If indeed this is being actively discussed the ramifications of it could be as big as any nuclear program or shift in alliance networks. Anyway, have a pretty jumpin’ propaganda song. Edit: 4/13 to clarify that the claims of Israeli involvement in Yemen are so far unsubstantiated.